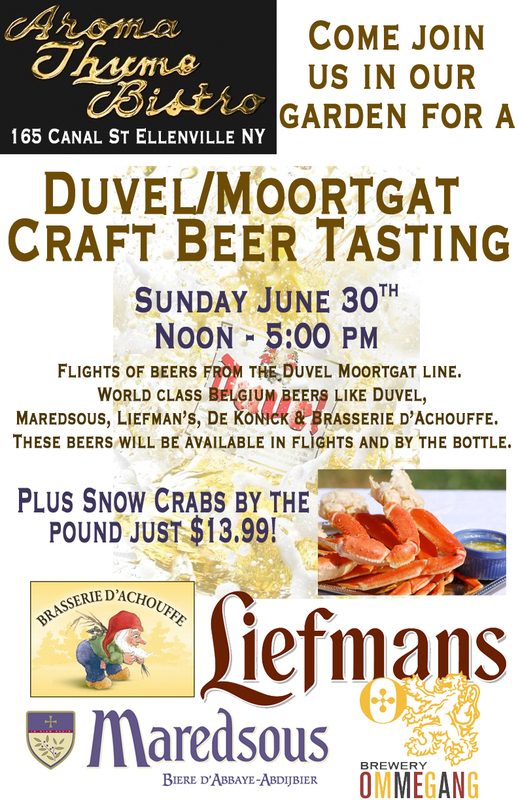 Details: Flights and bottles of Liefmans, Maredsous, Ommegang, Brasserie D'Achouffe & Duvel. Plus Snow Crab Legs are just $13.99 a lb plus our full menu is available. Moortgat brewery was founded in 1871 by Jan-Leonard Moortgat, who was descended from a family of brewers that lived in Steenhuffel, Belgium. In the 1950s, the third generation of Moortgats took control of the brewery. In 1963, Moortgat began brewing its Maredsous line of abbey beers, under license of the monks of Maredsous Abbey. There are currently three beers offered under the Maredsous name: Maredsous Blonde (blonde ale, 6% ABV), Maredsous Brune (dubbel, 8% ABV), and Maredsous Triple (trippel, 10% ABV). Duvel Moortgat was an original investor in the Brewery Ommegang craft brewery founded in Cooperstown, NY, in the late 1990s. More recently, the Belgian company took over complete control of the brewery and founded a stateside sales organization Duvel USA to handle both Ommegang and Duvel Moortgat brands and others. 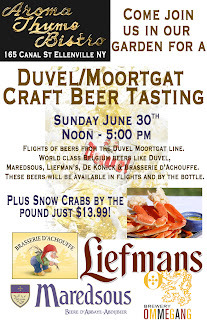 In September 2006 Duvel Moortgat bought fellow Belgian brewery Brasserie d'Achouffe. In 2010 Duvel Moortgat acquired De Koninck Brewery.